Oyewole Adebayo Oluwaseun a.k.a Prince da psalmist is a gospel music minister,worship leader,song writer,master of ceremony and Entrepreneur. A native of okemesi town in Ekiti state,who is also a graduate of computer science from Lagos state polytechnic. He started doing music since 1997 and he is in his own right a veteran that has worked with various groups and choirs around the nation.He has been privileged to share the stage with artistes like Chief commander Ebenezer Obey, Tope Alabi, Ayo Enouch, Psalm Ebube,Infinity, Buchi. He dropped the massive hit single MOYIN O LOGO (I praise you) featuring multi award winning gospel act Psalm Ebube in January 2013 and it became a regular praise song in churches,campuses and social functions. With over 200,000 downloads within months of its online release.it has earned reviews and massive airplay's from radio stations across the country and also in Ghana,Gambia,Zambia,South Africa,UK and USA. The video was shot by award winning director Akin Alabi in a nature reach location and photographs were taken by Mo Photography. He is also the annual host of Prince da psalmist & friends live in concert since 2010, hosted successfully in Lagos,Ibadan and Abuja as well as Evening of worship. 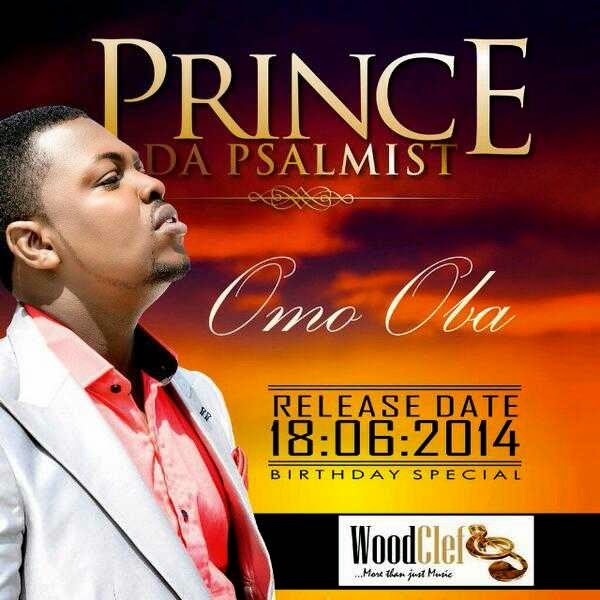 His debut Album dropped early this year and its titled"ITS ALL ABOUT YOU" available on spinlet http://goo.gl/jLcay9 and it features amazing songs like the massive hit single "MOYIN O LOGO",OMO OBA,SOPE,NEVER GONNA,HOPE DEY,ONLY YOU,HIGHER.....On the album project He had collaborations with Infinity(Olori oko),Psalm Ebube,Tru south and Prolishe.